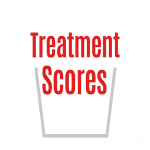 Treatment Scores Blog: What is the Treatment Score for that? What is the Treatment Score for that? 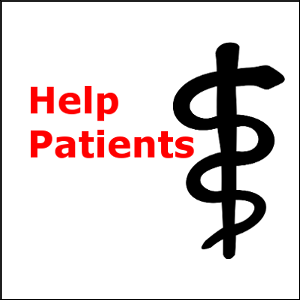 Whenever you are undergoing a medical treatment, you need to ask, "What is the Treatment Score for that? The Treatment Score = the net treatment benefit for the patient. The higher the Treatment Score the better the treatment effect for patients as summarized from the medical literature. Undertreatment and overtreatment occur because we don't know the Treatment Scores for anything. Runaway healthcare costs are happening because we don't know the Treatment Scores. If you undergo a treatment, does the medical literature suggest that patients will live only 2.6 weeks longer or 10 years longer? What is the cost/benefit for you? Knowledge is power. Does a new treatment have a Treatment Score of 95% in terms of curing a disease, but you don't even know about it? Importantly, the Treatment Score = the net treatment benefit for the patient (with the patients' values and preferences included). Treatment Scores allow for value-based healthcare to actually happen. Got cancer? What is the Treatment Score for your suggested chemotherapy? Got Alzheimer's disease? What are the Treatment Scores for Aricept, Namenda, Depakote, Zoloft, and Mobic? These are all medications that someone with Alzheimer's might be given. Got insomnia? There are 130 treatments. What are the Treatment Scores for each and every one of those Treatments? Have you ever wondered why you are not given this simple number, "the net treatment benefit," for any medical treatment (especially when it is life and death important)? Why is it that we can figure out "gross income" and "net income" every year, but we cannot figure out "gross treatment benefit" and "net treatment benefit" for patients? Answer: It's because the math is difficult. Health illiteracy, because Treatment Scores are simple to understand. Runaway healthcare costs. We cut healthcare costs by creating treatment transparency for all medical treatments. Treatment Scores are the starting point for evidence-based medicine with shared decision-making. Lack of time. We save doctors, patients, nurses, insurers, and governments time because we digest the medical literature down to one number. DISCLAIMER: Always see your own licensed medical physician for diagnosis and treatment. Treatment Scores are for informational purposes only.